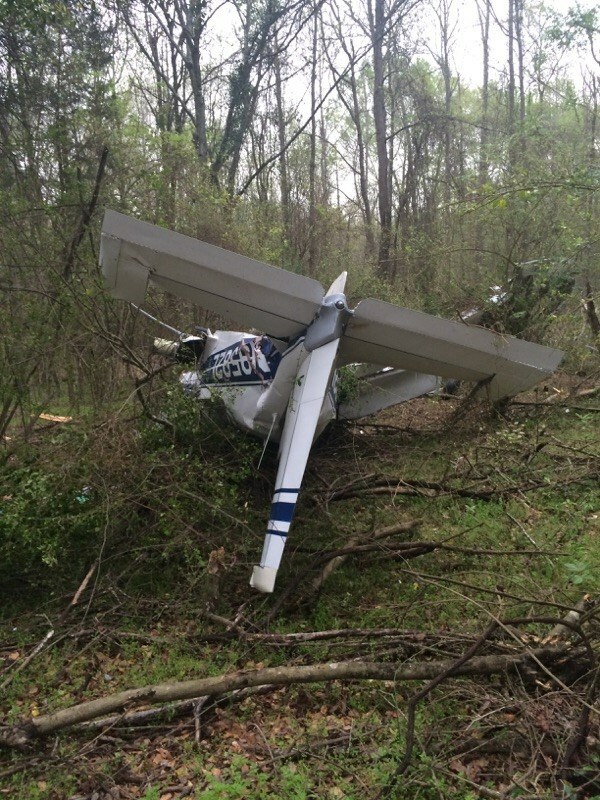 On March 18, 2016, about 0807 central daylight time, a Grumman American AA-5 single-engine airplane, N9582L, was substantially damaged after it impacted trees and terrain near East Side Airport (3TS0), Longview, Texas. The pilot was seriously injured. The airplane was registered to and operated by the pilot under Title 14 Code of Federal Regulations Part 91 as a personal flight. Low instrument meteorological conditions (IMC) prevailed, and no flight plan had been filed. The airplane departed 3TS0 at 0805 for a local flight. A witness saw the southeast bound airplane enter low overcast clouds immediately after takeoff. He heard the airplane begin a left turn and then saw the airplane emerge from the base of the overcast in a nose-down, steep left bank. The pilot recovered, and then the airplane reentered the clouds. The witness heard the impact a few minutes later. Evidence at the scene showed the airplane was northwest bound when it struck 40-foot tall trees and terrain, coming to rest inverted about 75 feet from the initial impact point. The impact resulted in the complete separation of the right wing and substantial damage to the fuselage, empennage, and left wing. An examination of the airplane and its systems revealed no anomalies. Weather observed at 0753 at East Texas Regional Airport (GGG), located 7 miles south of 3TS0, was as follows: Wind, 110° at 5 knots; visibility, 5 miles, mist; ceiling, 600 feet overcast,; temperature, 13° C.; dew point, 12°C. ; altimeter setting, 29.86 inches of mercury. 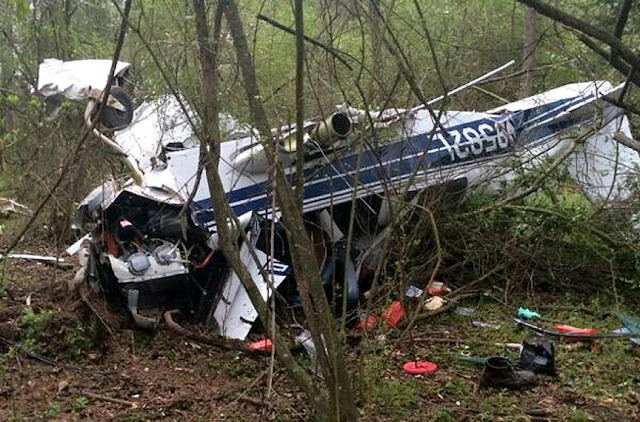 On March 18, 2016, about 0807 central daylight time, a Gulfstream American AA-5 single-engine airplane, N9582L, was substantially damaged after it impacted trees and terrain during initial climb near East Side Airport (3TS0), Longview, Texas. 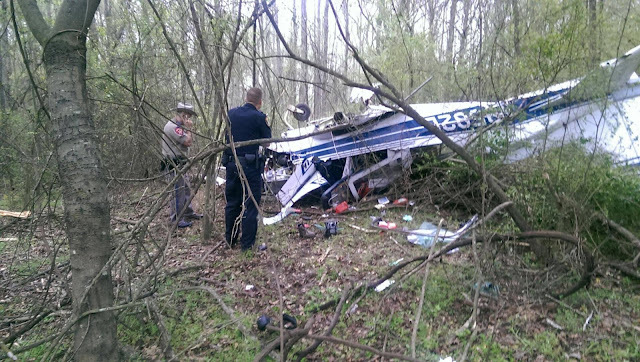 The pilot was seriously injured. The airplane was registered to and operated by a private individual, as a 14 Code of Federal Regulations Part 91 personal flight. Low instrument meteorological conditions (IMC) prevailed and a flight plan had not been filed. At the time of the accident the airplane was departing 3TS0 for a local flight. A witness saw the southeast bound airplane enter low overcast clouds immediately after take-off. He heard the airplane begin a left turn and then saw the airplane exit the base of the overcast in a nose-down steep left bank. The airplane recovered, reentered the clouds, and the witness heard the sounds of impact a few minutes later. Evidence at the scene showed the airplane was northwest bound when it impacted 40 foot tall trees and then terrain, coming to rest inverted about 75 feet from the initial impact location. The impact resulted in the complete separation of the entire right wing and substantial damage to the fuselage, empennage, left wing and tail surfaces. There was a significant fuel spill, but no postimpact fire. The closest official weather reporting station was at KGGG, Longview, Texas; located 7 miles south from the accident location, At 0753 the automated surface observation system at KGGG reported wind from 110 degrees at 5 knots, visibility 6 miles, overcast clouds at 600 feet above ground level, temperature 13 degrees Celsius (C), dew point 12 degrees C, and an altimeter setting of 29.86 inches of mercury. Data from the U. S. Naval Observatory showed that sunrise occurred at 0725. What do you folks think of this idea: Pilots could be trained for a special rating to be called a "Limited Instrument Rating". With this qualification, pilots will be authorized by ATC to depart airports under VFR conditions, climb through cloud layers to the tops and proceed VFR above the overcast. The rating would also permit pilots to descend through clouds to VMC conditions below. Accidents like this are all too common, as VFR Only pilots suddenly find themselves without a means to descend through clouds at their destination, low on fuel and with no alternate. daveyl123, you are describing and full instrument rating and a typical instrument flight: take off IFR, fly to destination either in clouds, between layers or on top, then descend IFR to a safe landing either IFR or VFR. Instrument flying is serious business. An instrument rating is not difficult to obtain, and, once obtained, should be looked upon as a passport for further learning. This guy was extremely lucky to be alive and fortunately did not have passengers. It doesn't matter what kind of rating you come up with if the individual fails to engage their brain ... Either before or after the engine is started.